eStorm are pleased to announce our support for local AFL team, the Brisbane Lions, as we come on board as an official supplier. Managed service provider, managed IT services, IT service management, MSP—what does it all mean exactly? It’s easy to get caught up in your own industry that you forget—no one knows what you’re talking about! Have you ever had someone explain to you what they do and you walk away still having absolutely no idea what they do?! This post really is only the tip of the iceberg—get the full insight on all the services and benefits provided by an expert IT Managed Service Provider here. So… What is an MSP? An MSP (Managed Service Provider) is like an outsourced subscription based IT department for your business. We take over the management of your business IT systems with the goal of reducing costs and improving the effectiveness of your business operations. Think of an MSP or IT service management as “IT Support as a Subscription.” Similar to your Netflix or Spotify subscription, you pay a fixed monthly fee and gain access to a wide range of expert IT services designed to help your business. What does an MSP do? The managed service provider is responsible for either all or part of your day-to-day technology and IT needs, maintenance and management. Oftentimes, businesses of all sizes find the hiring, training and maintaining of internal IT staff both ineffective and cost prohibitive. Likewise, even businesses with someone handling IT internally find that a single person or small team simply cannot provide the same level of knowledge and expertise that a qualified and trusted MSP can. MSPs develop key industry partnerships with major distributors like Apple and Microsoft. This allows them to provide hardware and software at the best possible price. With over 43% of cyber attacks targeting small to medium businesses, it’s vital that vulnerability assessments, threat management and secure user access and verification become commonplace for your business. With a reliable IT managed service provider you can rest easy knowing that, no matter where you are or what issue arises, you have skilled professional IT experts in your corner who are prepared and ready to help you. Computer systems crashing, software not functioning properly, computers running slowly—you know what this can do to productivity. With fully qualified expert IT technicians just a click or call away, and response times within the hour, your staff are no longer spending valuable work hours searching for fixes to IT problems. Click here to learn more about eStorm’s IT Managed Service Brisbane. If you’d like to learn more about Managed Services in Brisbane, feel free to get in touch by emailing [email protected] or calling (07) 3120 0640 for a no obligation chat about your IT needs. It goes without saying that keeping your business network and data safe should be a top priority—and for most businesses it is. But with the rapid advancement of technology and accessibility, there a growing number of businesses leaving themselves vulnerable. Data breaches and network infections can cause massive financial loss and reputational damage. In 2017, 53,308 security incidents were reported where over 2,216 involved data breaches, and over three-quarters were financially motivated. As businesses grow and more technology is added to your stack, it’s now more important than even to find the security vulnerabilities in your network before others can exploit them and your business. We obviously recommend hiring an external IT provider with the required expertise and proven track record for identifying and resolving network and security vulnerability issues. However, there are key things your internal team can do. A 2017 Internet Security Threat Report revealed that one in 131 emails contains potentially harmful and dangerous malware. Ensuring employees are proficient in identifying malware and other email attacks is vital for maintaining network security. You can learn more about how to identify malware and how to protect yourself against email attacks here. The bane of every computer users existence—the dreaded update. While most people put off updates, attackers can gain access to your network via outdated software, programs, antivirus, device drivers, firmware and operating systems. Software updates are there to not only help the programs function more effectively, but to address potentially exploitable vulnerabilities. Probably one of the most important, yet often overlooked, aspects of business network security is access. Establishing who can access your network and assigning levels of access are vital in protecting your network. By establishing network policies, you protect your vital business assets through compliance parameters, assess associated risks, limit vulnerability points and develop a recovery plan. It goes without saying that a strong password is important for your on and offline security—both at home and at work—as it is often your first and only line of defence. This is why we recommend organisations use Two-factor Authentication (2FA). A good password should contain at least 10 characters with an un-guessable combination of words. Using a phrase with multiple words helps memorisation but remains difficult to guess or crack. A simple rule of thumb is the longer the password the harder it is to hack. Likewise, it goes without saying that you should never share your passwords, or use the same password across multiple accounts, because if one gets hacked the rest become vulnerable. You can learn more about how to create a strong password that’s easy to remember here. A full vulnerability assessment reviews your entire network, including on-premise equipment like computers, drivers and servers, along with cloud applications, storage and services used by the organisation. The goal of the vulnerability assessment is to identify weaknesses in your current infrastructure while reviewing security measures to ensure a robust and secure environment. If you’d like assistance with your IT network and security, feel free to get in touch by emailing [email protected] or calling (07) 3120 0640 for a no obligation chat about your network and security needs. At our core, here at eStorm, we are driven to help people and businesses succeed. We’re passionate about helping people achieve their goals, increasing efficiency and making work life overall a lot easier—and who doesn’t want an easier work life. So in order to help us all succeed together, we’ve put together a short and simple list (…I mean it’s kind of a list.. there’s more than one thing so that counts right?) of research backed tips designed to help make your work life a little easier and a lot more productive. Email notifications. Text notifications. Social notifications. Workplace messenger notification. Pretty standard for your typical work day, but these distractions are sabotaging your productivity and stealing attention away from the tasks at hand. According to Gloria Mark’s research on distraction and the cost of interrupted work, it takes an average of 25 minutes to return to your original task after an interruption. Likewise, multiple studies confirm that the distraction itself isn’t the only cause of your time being eaten up, but that your mental progress is derailed for up to 30 minutes afterwards. Concurrently, other studies show that attention distraction can lead to higher levels of stress, lower productivity, as well as bad mood. In other words, the 30 second distraction of checking your email or phone after a notification isn’t really 30 seconds. The true cost of distraction is the length of the distraction itself + 23 minutes and 15 seconds. It’s no wonder we can often feel like we’re not getting anything done. We need to be realistic about distractions and interruptions to our work. Eliminating them entirely isn’t necessarily achievable, but we can strive to reduce them. Self imposed distractions, like the notifications, are much easier to regulate. Setting your phone to silent, closing email tabs, turning off notifications and setting your messenger status to away gives you some necessary breathing room to focus. Likewise, setting specific times throughout the day to check email and inbound notifications is a great way to prioritise, stay focused, stay connected and remain on top of your tasks. The more technology advances and the more we adapt to it, the more tasks we can perform at the same time… right? Earl Miller, a Picower professor of neuroscience at MIT, says that for the most part, we simply can’t focus on more than one thing at a time. However, he said, we can shift our focus from one thing to the next with astonishing speed—known as task switching. During task switching, we do not pay attention to multiple things simultaneously, but rather we switch between them as similar tasks compete to use the same part of the brain. “Think about writing an email and talking on the phone at the same time. Those things are nearly impossible to do at the same time,” he said. Researches claim they can actually see the brain struggle. This constant shifting of gears has a significant impact on your ability to complete tasks, with recent estimates showing that it can cause productivity levels to drop by 40%. Dr. Melissa Gratias, workplace productivity coach and speaker, advises that we don’t fall into the trap of setting ourselves up for failure before the day begins. Dr. Gratias recommends choosing between 5 and 9 tasks you want to make progress on that day. It’s important to make sure you’re explicit and honest about your highest priority task so you’re proactively making progress toward something. What to look for in the best Managed Service Providers. Business owners and IT professionals alike know better than anyone that as your company grows, one of the most important items for consideration is your IT infrastructure. When companies are small, they often handle their IT needs themselves, but as they grow, so does the need for better and more reliable infrastructure. Likewise, as the business grows, so do the number of staff hours being spent unproductively trying to resolve computer and other IT related issues. This is one of the many causes for lost staff productivity, which costs businesses a fortune. One study showed that for every $13,291 worth of salary, unproductive employees account for a $4,520 cost to their employer. It’s vital for growing businesses to partner with a reliable and proactive IT managed service provider. Your MSP (Managed Service Provider) can not only remove the burden of day-to-day IT management, but generate and implement solutions and strategies that ensure the company is able to grow and operate more efficiently by leveraging new and existing technology. What exactly is an IT Managed Service Provider? An MSP is an outsourced company that takes ownership of a defined set of IT tasks or operations. You can think of a managed service provider as an extension of your business—your own dedicated IT team—without the significant cost associated with an in-house IT department. Managed service providers are predominantly used by small to medium sized businesses (SMBs) who don’t have a dedicated IT team. For example, a medical office uses a number of computers for managing patient records, data and billing, as well as utilising computer systems in their medical practice. This may not require a full-time IT employee, but still requires immediate expert attention when an issue arises to fix the problem, as well as the management of infrastructure over time. This is where an MSP would be useful. It’s important to note here that MSPs go by a long list of names. These include IT Support Provider, IT Managed Services Provider, Remote Monitoring and Management Provider as well as many others. It goes without saying that all businesses are unique. Even within the same industry, each company differs on how it operates, the governing organisational values and culture, the people and what it’s aiming to achieve. That means a one-size-fits-all approach to managed services just doesn’t make sense. The best managed service providers take the time to truly understand your business, your needs and what you’re trying to accomplish. Only when this is fully understood can an IT support provider suggest, design and implement strategies and technology that align with the goals of the business and help your business grow. Partnering with an MSP isn’t just about having a reliable expert in your corner when something goes wrong. A truly valuable managed service provider performs a number of proactive tasks in order to aid the prevention of future issues. For example, at eStorm we proactively monitor your IT systems and environment 24 hours a day, 7 days a week. This allows us to identify and address any issues long before they cause interruptions, damage or financial loss. A vital service that should be provided by your managed service provider is robust and reliable backup and data recovery procedures. The true value of an IT provider isn’t shown until a catastrophic data failure takes place that ultimately requires data to be restored from backups. Oftentimes if your managed service provider doesn’t have a way for your critical data to be securely and reliably backed up, it can mean they lack the necessary experience in this area, which could be disastrous in the event of data loss. Having a fast, knowledgeable and responsive help desk that can deliver expert IT support remotely is the gold standard for an MSP. However, there are likely going to be times when a phone call or remote access aren’t going to be enough. Partnering with a managed service provider that has the capacity to deliver on-site support, whether it be to remedy IT issues or manage on-site IT infrastructure, provides an additional layer of reassurance, reliability and growth potential. Having a dedicated team of knowledgeable experts who are able to deliver remote and on-site support means, no matter what your current or future IT requirements may be, your MSP is equipped to handle all your IT needs. With over 15 years experience, we deliver an extensive range of IT services that help small to medium businesses, across a wide range of industries, achieve their goals and objectives. 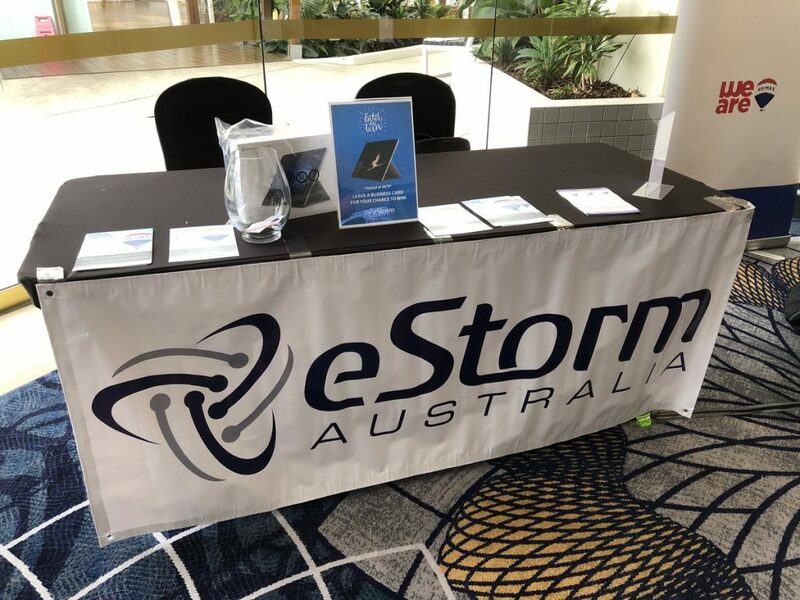 At eStorm Australia, our managed service solutions have been designed with the core goal of reducing IT stress placed on businesses and staff, as well as increasing overall efficiencies and business growth. 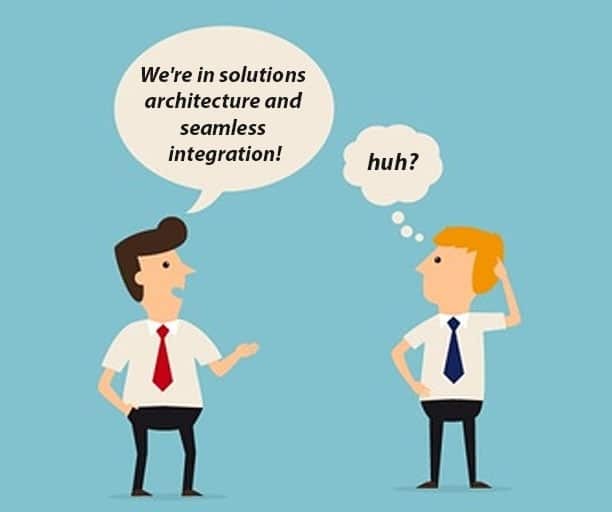 Talk to one of our Solutions Architects about your IT needs today today. eStorm Service Centre Springfield, 1/145 Sinnathamby Boulevard Springfield Central, has today been awarded the “Premium Service Provider” distinction by Apple. It is an honour to receive the Premium Service Provider distinction. The team has worked very hard to offer exceptional service, advice and quality repairs to everyone who comes in contact with the Springfield location. eStorm Service Centre is your dedicated Apple Authorised Service Provider & Reseller. Offering products and services for both PC and Mac users, our goal is to take the hassle out of your computer and phone repair experience, all while delivering you the highest quality service and support with a timely turnaround. eStorm at the New Zealand RE/MAX Rally! The RE/MAX Rally is an exciting conference where the next generation of real estate agents, Broker Owners, Property Managers, Administrators, entrepreneurs and thought leaders gather to network, hear from remarkable guest speakers and re-energise for 2019! 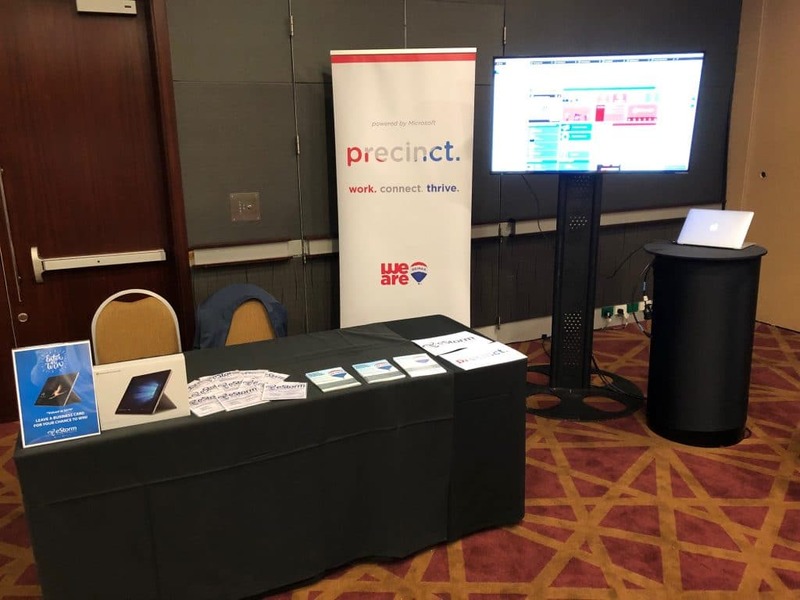 We’re here promoting the powerful benefits of Microsoft SharePoint and IT support—as well as giving away a brand new Microsoft Surface Go! eStorm at the RE/MAX Australia Rally! We’re excited to be at the RE/MAX Rally where the next generation of real estate agents, Broker Owners, Property Managers, Administrators, entrepreneurs and thought leaders gather to network, hear from remarkable guest speakers and re-energise for 2019! 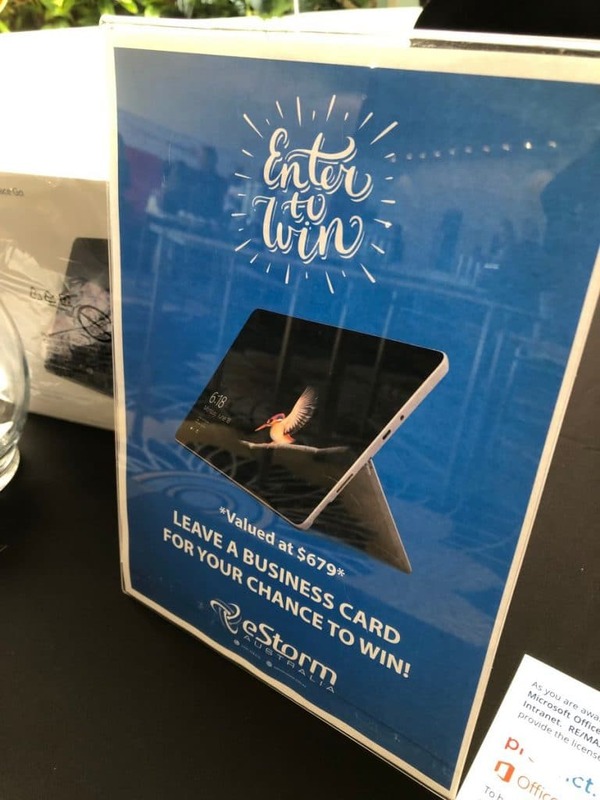 Stop by our stall and leave a business card for your chance to win a Surface Go! 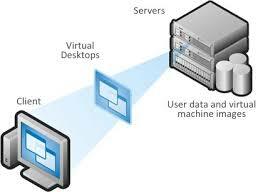 What is Virtual Desktop Infrastructure (VDI) and How Can I Benefit? The way people work and do business is rapidly changing. The ability to be flexible and have the right information at the right time can have a significant impact on your overall functionality and performance. One of the best ways to remain adaptive in this ever changing landscape is by centralising your data through virtual desktop infrastructure (VDI). Virtual desktop infrastructure (VDI) is a desktop operating system that is hosted within a virtual machine, which is running on a centralised server. This allows the desktop images to be accessed via a number of devices, such as mobile devices, laptops, tablets and desktop computers. Using VDI, each user’s desktop environment or virtual PC is stored on a remote-access server instead of the local machine. This not only grants access to greater computing power, but the centralised approach to maintaining your data, and the network, saves significant resources, time and money in the process. With all data being stored on a server and not the device itself, employees aren’t carrying around confidential company data on USBs or personal devices, which can be easily lost, stolen or tampered with. This approach not only increases data security, but also helps in the event a user’s device is significantly damaged. No data is lost as it is backed up to the server and not stored on the device itself. Virtual desktop infrastructure allows for the easy management of company wide systems, data and software from a central location. All updates, backups, virus scans and other maintenance are far easier and less time consuming to perform. Centralised management makes scaling simple. As hardware is virtualised with VDI, when the organisation is growing and new employees are onboarded, you can simply deploy the base image of what their machine should look like and then credential them into that image. Whether your employee base is seasonal or you’re rapidly expanding the business, you can have extra images to handle the increased demand. Purchasing new, and maintaining current, hardware accounts for some of the highest IT expenditures a company can make. Virtual desktop infrastructure not only allows you to extend the life of hardware and devices, it also enables you to take full advantage of a data center’s computing power and storage. As a result, your machine requires significantly less RAM, computing power and storage space. Experts estimate that maintaining and managing PC hardware and software accounts for 50-70% percent of the total cost of ownership (TCO) of a typical PC. Significant cost savings can be found in the maintaining and updating of equipment. A single centralised data centre means the drivers, patches and applications only need to be installed once, which then are pushed out to the entire network where every user benefits from the update—rather than updating individual machines one by one. From an IT perspective, virtual desktops help reduce the time it takes to provision new desktops, and they also help to decrease desktop management and support costs. If you’d like to learn more about how Virtual Desktop Infrastructure can be implemented to help your business—contact our sales team at any time on 1300 378 676 or [email protected].